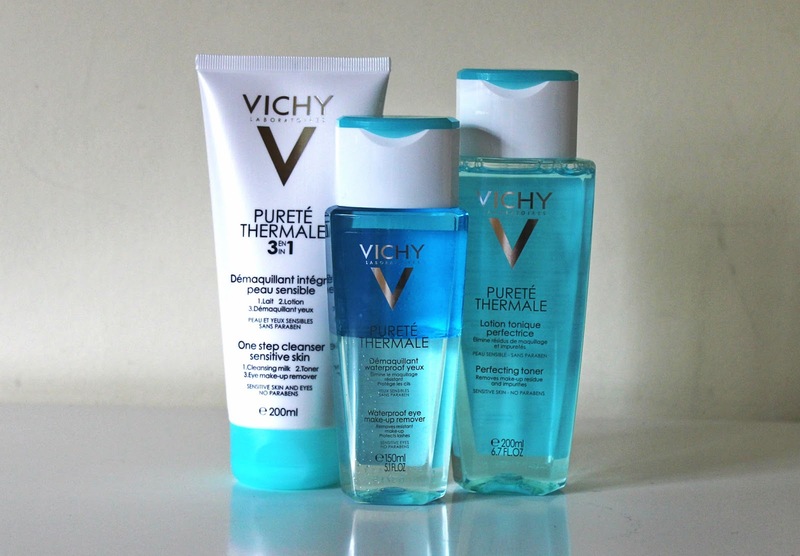 I’ve always been a fan of Vichy’s skincare, so when I had to stock up on a few products and they had a 3-for-2 offer on, I couldn’t resist picking up these three! I was originally drawn to the cleanser because if it’s claims of being able to remove makeup, cleanse and tone all in one step, but I still picked up the toner to use alongside it because I really do find using one improves my skin. I also picked up the eye makeup remover becuase I was interested to see how it compares to micellar water (which is how I usually remove my makeup). First up, let’s talk about the cleanser. It’s a thin creamy consistency and it’s so gentle on my skin it actually feels really pampering to use! I was worried such a gentle formula wouldn’t effectively clean my skin, but I haven’t had any breakouts and my skin still feels properly cleansed after using it. If you have sensitive skin then this could work really well for you. I’ve also been really enjoying using the toner, it’s really helped to leave my skin feeling just that little bit cleaner after using a gentle cleanser. I sometimes find toners can leave my skin feeling tight but this one really doesn’t which is great. Finally, I’ve been enjoying using the eye makeup remover as well! It’s just as good at removing my eye makeup as anything else but it doesn’t leave me feeling greasy like some other makeup removers have. Overall I’m really pleased with what I bought and I’ll definitely be re-purchasing it all. "A Long Weekend In Budapest"